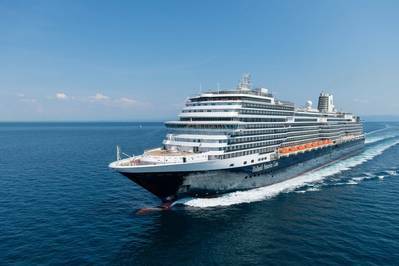 Nieuw Statendam, the new cruise ship of Holland America Line, was presented at the Fincantieri Marghera shipyard in Venice. Holland America Line is a brand under Carnival Corporation, the world’s largest cruise operator. "Today the Holland America Line family celebrates the addition of Nieuw Statendam to our fleet, and it's a proud moment for everyone involved," said Orlando Ashford, Holland America Line's president. "Thank you to our partners at Fincantieri and our own team members who worked diligently to deliver the ship looking more stunning than we imagined. Nieuw Statendam represents our continued evolution of adding exciting new experiences while maintaining the hallmarks that have made Holland America Line a leader in premium cruising," Ashford added.